Aww, the wonders of burlap. 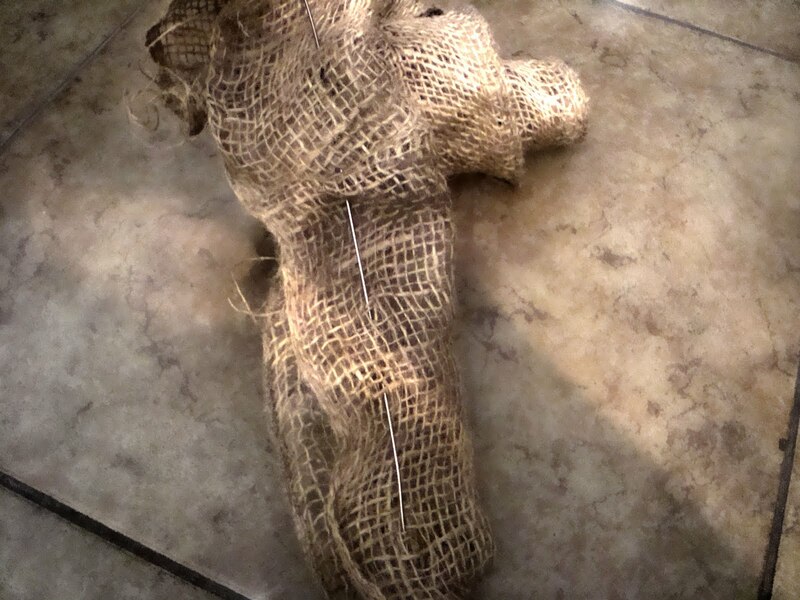 When I first learned of burlap being a frequented fabric for amazing projects, both beloved by professionals and DIY-ers, I began to tune in with much awe. I then began research to find out what I could do with burlap, and went out to find my burlap garland, a good place to begin for a first time burlap user. 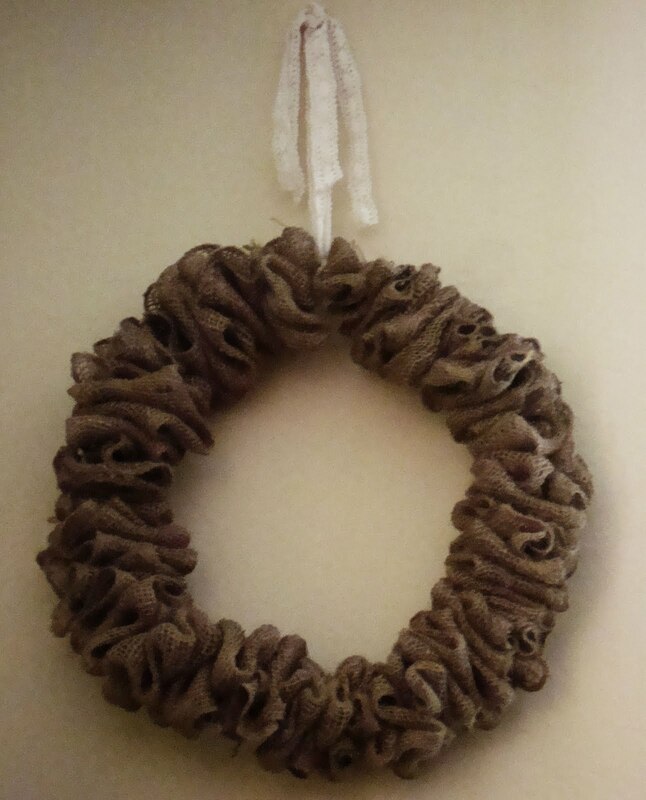 Today I bring to you a wreath, made of burlap! Pretty easy to put together, I might say! 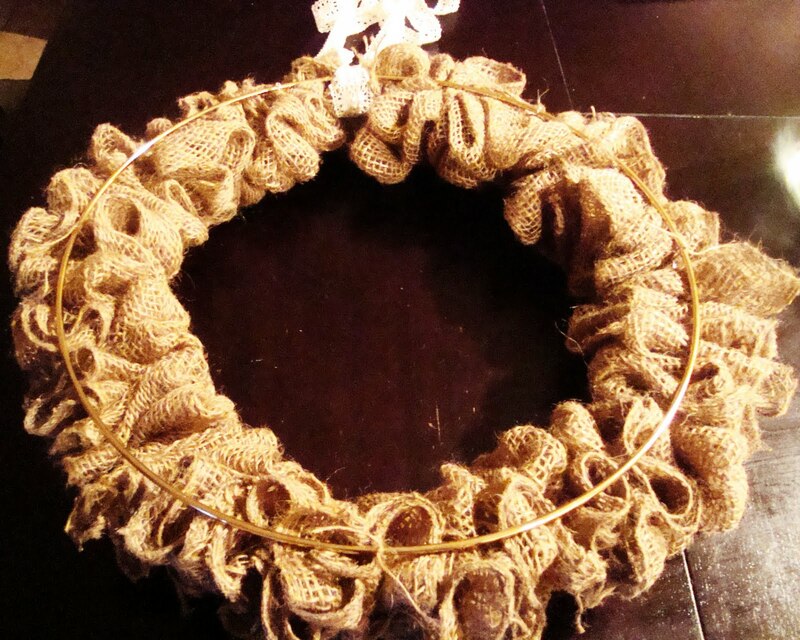 Gather up the burlap garland and wire. 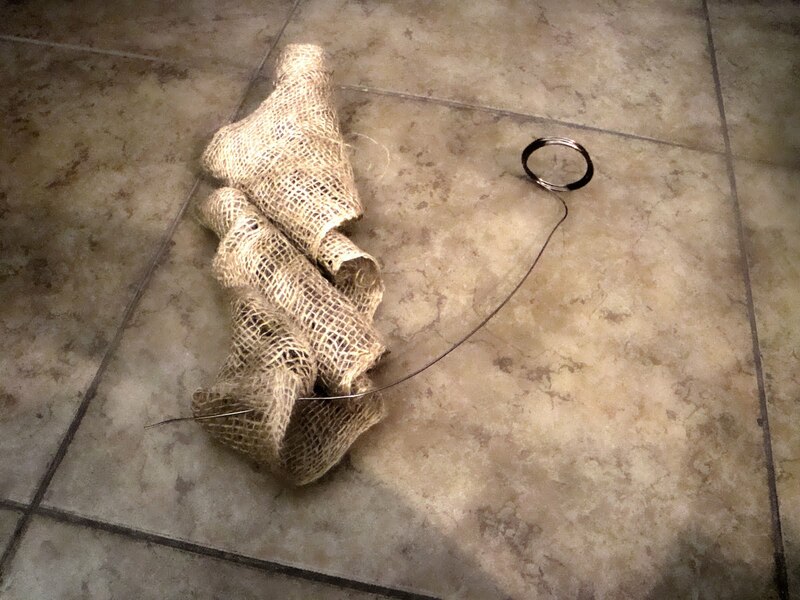 At each end of the wire, make a hook, this will both let the burlap not slide off the wire, and in the end, you will hook the wire's ends together. The garland should be folded in half. 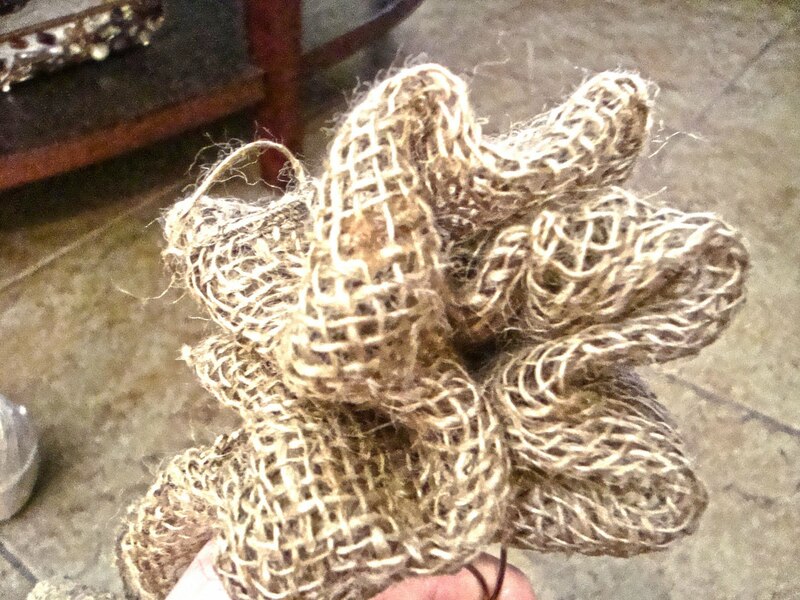 Start at the end of the garland, and simply begin weaving the wire through the garland, paying attention that it remains in the center, that the edges of the burlap stay in place. At some point you will want to stop and gather the material together, by bunching everything together, like an accordion. You should start to see ruffles bunched together as pictured below. Continue weaving the wire, bunching as you go, till you are near the end of the wire. Hook up the wire's ends. What you will have is a wreath, but it is not able to withstand being hung yet. This is where the steel ring and twine come in. Where the ends of the garland appear, that will create the back of the wreath. Lay the other side face down, so the ends are facing upwards. Where the hooked wire ends meet, this will be the top of the wreath. Place the steel ring on the back of the wreath, and simply cut some twine, looping the twine through the exposed wire. I started at the four points of the circle, turned the wreath 90 degrees, and tied another four points, to now have 8 ties around the steel ring. Take the ribbon, secure to the top of the wreath, and then hang on the wall, door, wherever you desire. Here is the hanging burlap wreath! What is great about this wreath is it can be changed out throughout the year. Different ribbons can signify a holiday or an event. Embellish with pine cones, ornaments, fabric flowers, etc, as well! My husband even loves this touch we added to our home! I love it whenever he is on board with the DIY projects as of late! Make this for your own home, as a gift, or to decorate an event you will be holding. Either way, I hope this easy tutorial has inspired you to create your own burlap wreath!